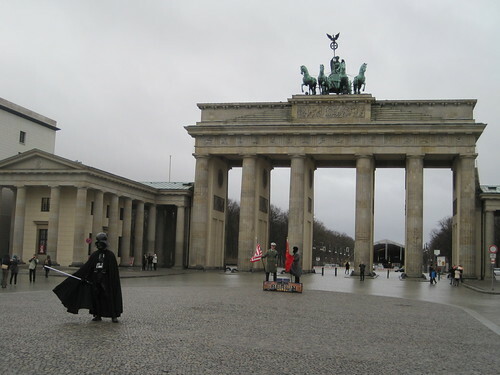 Patrolling the Brandenburg Gate these days is a leader from a truly evil empire. Here's the photographic evidence before you jump to conclusions. I certainly thought twice before crossing over. I'm confused. 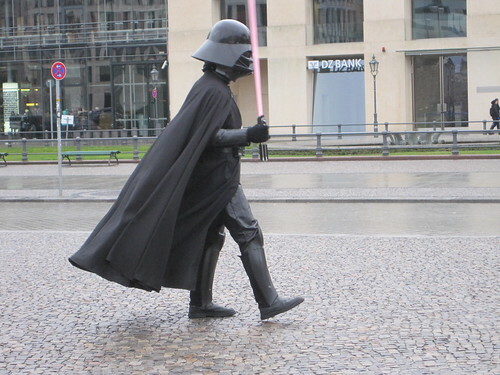 Is Darth Vader a Nazi or were the Nazis Sith Lords? the kid from the volkswagen commercial needs work. flip him a euro.